The officers of the Nova Scotia Archaeology Society are elected on an annual basis, with elections being carried out during our Annual General Meeting in May. Elections may be held so long as a quorum is present, that quorum being ten (10) members or fifty-one percent (51%) of the membership, whichever is the lesser. The Chair may cast a deciding vote in the event of a tie. All Society members may vote and hold office. No member may hold any one position on the Executive Committee for more than two consecutive years. If interested in serving of the NSAS board or committees, please contact us. Sarah J. Ingram Sarah holds a Bachelor of Arts in Anthropology and Classics from SMU, as well as a Master’s Degree in Archaeology from Memorial University, where she specialized in historical archaeology. She was also one of the founding executive members of the Newfoundland and Labrador Archaeology Society, and worked for the Heritage Foundation of Newfoundland and Labrador on several research projects surrounding intangible cultural heritage and community outreach for heritage protection. Kiersten Green graduated in 2008 with an Honours Bachelor of Arts in Anthropology and History from Wilfrid Laurier University. Since that time, Kiersten has worked in the field of cultural resource management. She is currently a member of the Heritage Trust of Nova Scotia and is a Nova Scotia Heritage Research Permit holder as well as an Ontario Archaeological Research License holder. Kiersten has experience working in consulting archaeology with the mining, green energy, transportation and hydroelectric industries, in addition to residential and commercial development. Kyle Cigolotti graduated from Saint Mary’s University with a Bachelor of Arts in 2010. He has worked with Cultural Resource Management Group Ltd since 2012 throughout the Maritimes and Ontario. Kyle has been a member of the NSAS since 2010 as well as a member of the Canadian Archaeology Society. His research interests include historic urban archaeology, precontact pottery, and GIS. 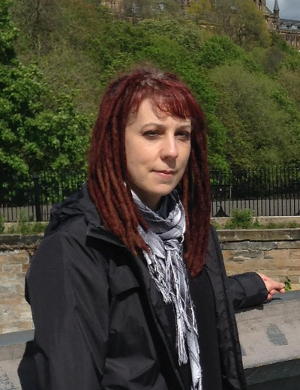 Vanessa Smith completed her MLitt with Distinction in Archaeological Studies at the University of Glasgow, with previous undergraduate degrees from Saint Mary’s University (BA Honours – Anthropology) and the Nova Scotia College of Art and Design (BFA). She has wide-ranging interests in archaeology, particularly researching colonial Nova Scotia and early medieval Scotland, gender, and funerary archaeology. Vanessa has been involved in archaeological projects in Nova Scotia and Scotland, and currently works in cultural resource management archaeology and artifact photography in Halifax. Courtney Glen is a Senior Archaeologist with Davis MacIntyre & Associates Limited, a cultural resource management company based in Halifax. She holds an MA in Landscape Archaeology from the University of York, UK and a BA in Anthropology with a Diploma of Forensic Science from Saint Mary’s University. 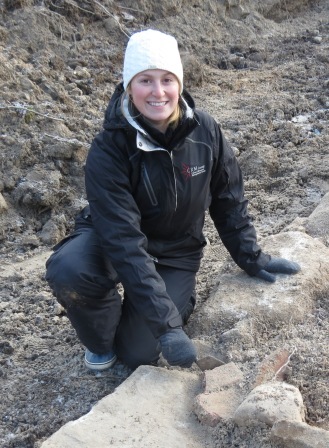 Courtney has participated in archaeological excavations in Canada and the UK. Her research interests include public archaeology and eighteenth/nineteenth century crime and poverty. Allison Fraser works as an archaeological field technician in the Cultural Resource Management field, and holds a B.A. (Hon) in Anthropology and Classics from Saint Mary’s University. Among her research interests are public archaeology, landscape archaeology, and geomorphology. Since becoming involved with archaeology she has participated in local and international excavations, worked on projects throughout the province, and has volunteered in a variety of public archaeology programs. Allison is very interested in promoting archaeology to the public and wants to help the society encourage a strong local Archaeology community.